Kantar Millward Brown just released the BrandZ report on the top brands in Belgium in 2018 and how to plan for growth in 2019. BrandZ is the world’s largest and most definitive brand equity study that combines financial and market data with primary research data from consumers on their views about brands. It reveals the power of the brand in the mind of the consumer that creates predisposition to buy a brand, and most importantly, validates a positive correlation with better sales performance. The Financial Times publishes the BrandZ™ global ranking each year, looking not just at the rankings but also at the analysis of why the results are what they are. 1. Being a Belgian origin brand adds value – it helps build trust in the mind of consumers with a stronger perception of purpose and higher emotional connection. 2. Technology is knocking at our door – while Belgians are slower to adapt to the newest trends in tech, it is essential to respond to technological disruption happening globally, sooner rather than later but also to maintain integration with offline channels to support customers that are slow to adapt. 3. It is important to pursue purpose – conceive of the business as having a meaning beyond selling products and services, build a purpose that is relevant to the product and the brand. Examples of Belgian brands doing that well are Exki and Spa Fruit. 4. Grocery retailers, food and drinks dominate the healthiest brands in Belgium, with love for the brand helping them sustain even during low phases while constantly building differentiation helping in building greater resistance during category lows. 5. 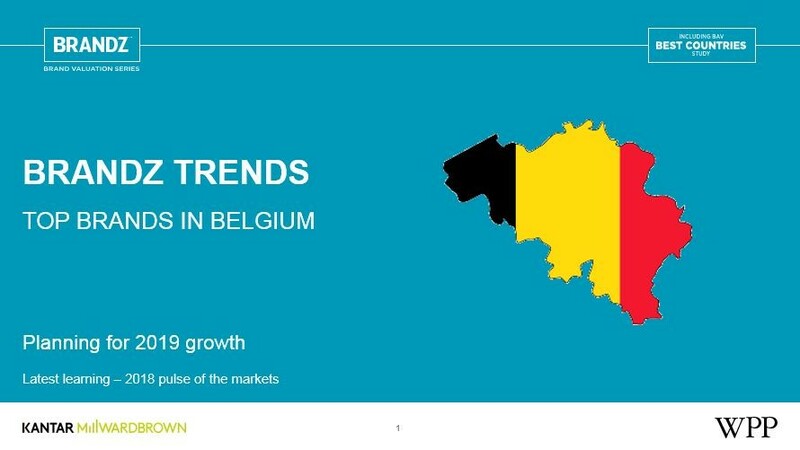 Banking and insurance sectors suffer in Belgium despite a global upward trend. 6. Healthier alternatives are the key disruption in the fast food, soft drinks and confectionery categories – it is crucial to think of health and natural, better quality ingredients to stay relevant and future proof. Top 10 brands in Belgium (among industries in scope in the study this year, i.e. Fast Food, Grocery retailers, Confectionery, Soft drinks, Cars, Banking, Insurance). To find out more about BrandZ rankings visit the website of Kantar Millward Brown.